Guitarist Mdou Moctar has been a prominent figure in the West African music scene of Agadez, Niger for the past decade. He will play Tuesday evening [Jan. 22] at the Golden Pony in Harrisonburg. 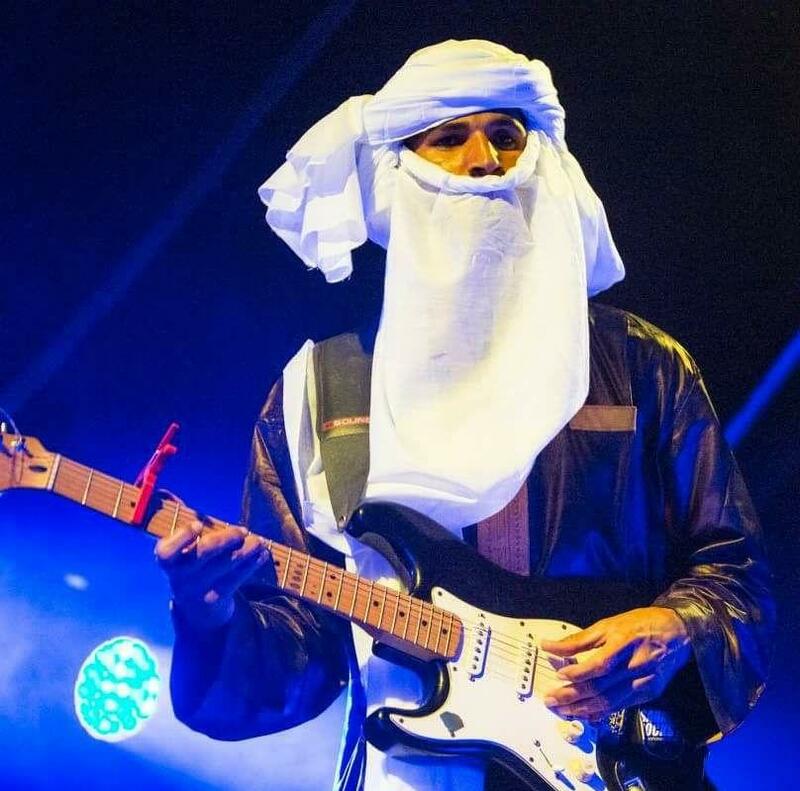 Guitarist Mdou Moctar has been a prominent figure in the West African music scene of Agadez, Niger for the past decade. He plays a style that fuses traditional Tuareg guitar music with psychedelic blues and desert rock. Mdou Moctar is playing Tuesday, January 22 at the Golden Pony in Harrisonburg. WMRA’s Calvin Pynn spoke with Moctar about playing in Agadez, and bringing his music to the rest of the world. Secular music has been often frowned upon in the Muslim-heavy culture of Agadez, but that fact hasn’t stopped Tuareg guitarists such as Mdou Moctar from reaching an audience. In fact, he pays homage to the traditional Tuareg style as a rock guitarist. WMRA: What makes Tuareg guitar music unique and how does the style you play call back to old traditions while creating something new? MDOU MOCTAR: I think it’s because we never going to school. We live in the desert, we don't have any places for selling guitars, or strings, but we play something very special. It was like that from the beginning, and then we listen for new musicians now because we have the technology. Moctar was secretly self-taught, and built his first guitar out of salvaged wood with bicycle brake cables for strings before breaking out onto the live music circuit. His music spread was shared across the Sahara over a cell phone trading network, in which spectators at his shows captured audio on their phones, and then exchanged the recordings person to person. His first album Anar was recorded in 2008 and was traded over cell phones across West Africa until its official release in 2014. The album featured autotune and drum machines in addition to his electric Tuareg sound. WMRA: What made you want to experiment with those instruments on Anar? MOCTAR: I’m just so curious. I love the drum machine, and voice electronics. It was new for me. I said I have to do the Tuareg music in that style, I wanna see what will be happening later. After that I wanted to see what would happen, and then the people love it. Anar was released in the United States after Moctar was discovered by Portland based label Sahel Sounds, which records and distributes artists from West Africa. In 2015 Sahel Sounds produced the film Akounak, the Tamalchek language remake of Purple Rain. Moctar starred in the role originally made famous by Prince and composed the film’s soundtrack. Moctar has recorded and occasionally toured in the United States ever since, with his next album, Ilana: The Creator set to release in March 2019. WMRA: As often as you perform in the United States, how do your performances here differ from those in Agadez? MOCTAR: It’s so different, because in my town when I’m singing, everyone understands my message because I’m singing in my language and playing with my people. But here in the United States, not any person can understand what I say, they just like what I’m playing and I’m with my audience. So I feel the audience, I dance sometimes with the audience, it’s not just I play. I am with my fans forever, I’m dancing with them, and we have some connection with my fans when I’m playing.